Dry and cracked feet are common, but even more so during cold winter weather months. Even if you work at consistently moisturizing your feet, you may still suffer from dry and cracked feet. While there are a number of home remedies that may offer some relief, get the best care from a professional that you can trust for podiatry in Everett for incredible and long-lasting results. The first step will be for you to determine the severity level of your cracked, dry feet. There are some people that may simply have an issue with dry skin that can be remedied with a bit of quick exfoliation. However, there are other symptoms of cracked feet that can be severe or even worsen if you leave your feet untreated over a long period of time. Rough Skin – At the early stages, there may not be any cracking that is present. This is an opportune time to treat your feet before the cracks have a chance to form. When you notice that the area around your heel edge is hard, rough, or white, there could be cracks soon to follow. Peeling Skin – Another early stage of cracked feet, when you notice that the skin is peeling you want to start treating the area properly. When left without treatment, the cracks will appear and become more difficult to remedy. Cracked Skin – There could be visual cracks that are forming around the edges of the heels or the bottom of the feet. This is usually a symptom that comes after the flaky skin patches, indicating treatment needs to start right away. Itching or Rash – Once there are cracks that begin to form under your feet, the skin in this region will tighten and lead to itching. There could also be a bit of a rash that may form that can lead to excessive itching, which will call for treatment to keep the irritation from getting any worse. 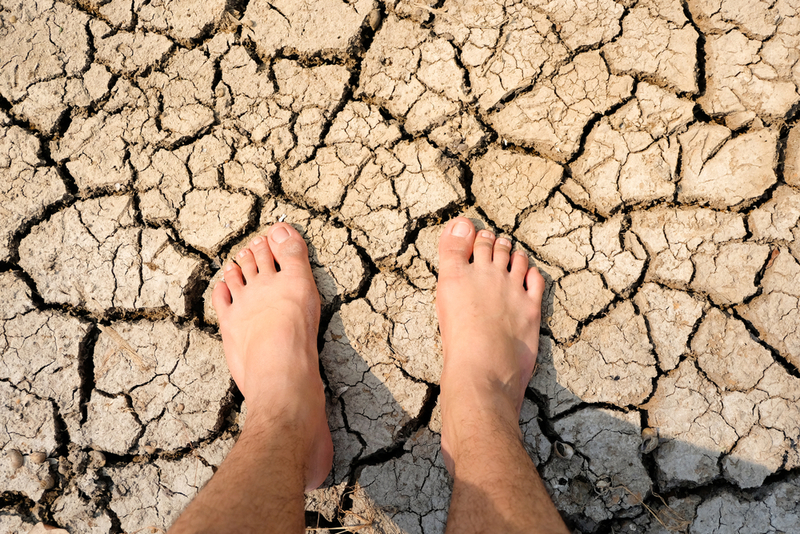 Bleeding – With severely dry feet that are left without treatment, the cracks will begin to deepen and can be painful. Once this happens, the deep layers of skin can be susceptible to damage. Such damage can bring about discharge or bleeding, leaving you open to infection. This is especially dangerous for patients with diabetes. Worsened Symptoms In Winter – When the weather is colder, it can cause a great deal of irritation for the skin, leading to increased itching and dryness. Cracked and dry feet are not only a cosmetic concern. If left untreated, cracked and dry feet can become painful and also may lead to sores or infections. In some cases, cracked and dry feet may also be an indication of a fungal infection, such as athletes foot. Home remedies for cracked and dry feet may include rubbing your feet with a natural moisturizer such as coconut oil. These can work to soften the skin for you to soothe and heal. However, visiting a podiatrist can ensure there are no underlying issues. Visiting a podiatrist will give you the professional insight that you need to properly care for your feet. You should always see a podiatrist if you have developed cracked heels, especially if you have issues with poor circulation, some sort of autoimmune disorder, skin conditions, or diabetes. Even if you try a few home remedies and you start to notice a slight change, seeing a podiatrist will help to ensure you are able to get the specialized treatment you need to keep your feet as healthy as possible. If you are looking to get rid of dry, cracked feet, turn to Mill Creek Foot & Ankle Clinic for podiatry in Everett. 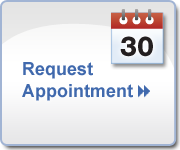 Call (425)482-6663 to schedule your appointment with Dr. Hall or Dr. Hansen.